Jimmy Haslip (born 31 December 1951 in Bronx/New York City) is an American electric bass player and record producer best known as a founding and current member of the pioneering fusion group Yellowjackets. He was also an early user of the 5-string electric bass. 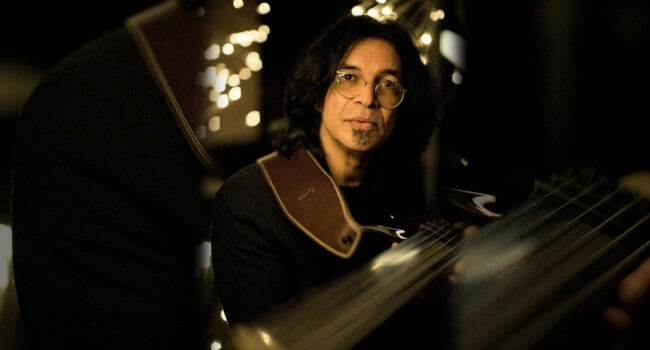 Haslip is notable for his versatility of tone, including being able to very closely achieve the tone of an upright acoustic bass on an electric bass, his melodic bass lines, and his expressive solos. Haslip is a left-handed player. In addition to the Yellowjackets, he has worked with, and is working with, many notable artists, including Bruce Hornsby, Rita Coolidge, Gino Vannelli, Kiss, Tommy Bolin, Allan Holdsworth, Marilyn Scott, Chaka Khan, Al Jarreau, Donald Fagen and Anita Baker. Haslip has released two solo albums, Arc and Red Heat. Haslip remains active with the Yellowjackets, is part of a combo with Allan Holdsworth, Alan Pasqua, and Chad Wackerman. Other collaborations include Jing Chi (with Robben Ford and Vinnie Colaiuta) and Modereko. Jimmy Haslip was a member of rock group Blackjack from 1979-1980 with Bruce Kulick, Sandy Gennaro, and Michael Bolton.